On the high plains of Bolivia, many people live in mud brick homes. 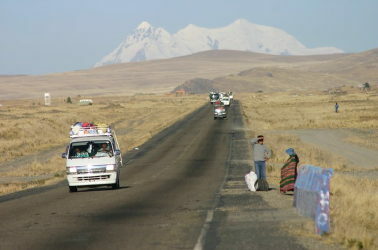 Bolivia's new policies have cheered poor communities that have seen little economic growth in recent decades. But economists and political opponents doubt it can lift people from poverty. 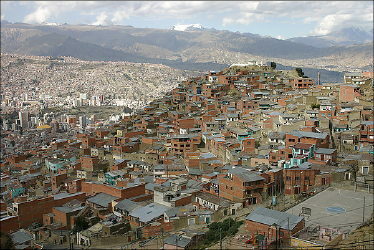 In areas around Bolivia's capital La Paz, the government sprinkles businesses with grants through a program funded by Venezuela's President Hugo Chavez. Bolivia has turned from reliance on economic prescriptions of the United States, World Bank and International Monetary Fund and has embraced aid from Venezuela and Cuba. 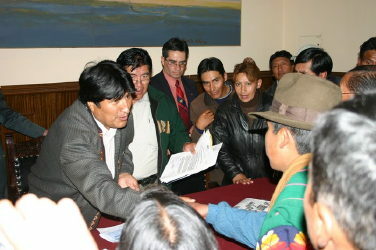 President Evo Morales greets village mayors in Oruro, Bolivia. Since taking office last year, Morales -- a former coca grower, and the first indigenous tribesman to lead Bolivia -- has nationalized Bolivia's oil and gas industry, reversing a privatization orchestrated by the IMF. In Gumercindo Quenta's classroom on the shores of Lake Titicaca, many children trudge miles from their villages to get to school. Bolivia is expanding a Cuban literacy program. Last year, the government used energy royalties to hand out $31 million to parents as a reward for keeping children in school -- about $25 per child. 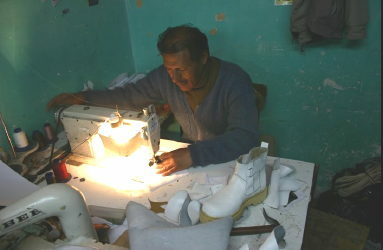 Alcides Apaza got his job in a shoe factory because of free payroll money distributed in an aid program funded by the Venezuelan government. President Hugo Chavez has lavished aid on allies such as Argentina, Ecuador and Nicaragua in the name of rolling back the influence of the United States and the Washington-based institutions that have shaped Latin America's development. 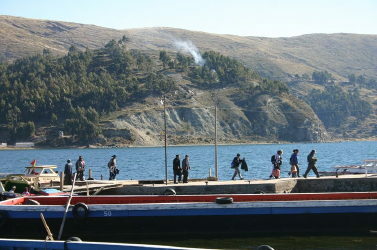 People step off a boat on Lake Titicaca in Bolivia's high plains. Many families in the area live in mud brick homes, coaxing sweet potatoes from the land and subsisting on as little as $50 a month. 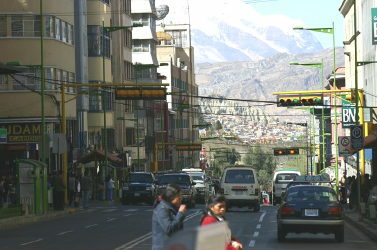 The snow capped peaks of the Andes frame La Paz. Bolivia's new policies are widely embraced in the country, but economists say the programs could choke the development of competitive businesses. 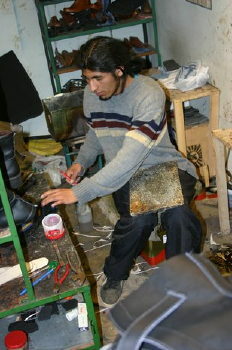 Small backyard factories such as this shoe operation above La Paz provide jobs to poor Bolivians. The country is following the lead of Venezuela and Cuba, nationalizing industries and championing what its leaders call a pragmatic version of socialism.